Camping is one of those activities that regardless of whether you are rich or poor, young or old, at some point in your life you've probably done it at least once. And there's good reason for that. As far as vacation options go, it's inexpensive and gets you out in the great outdoors and the fresh air. Something you may not know about it, though? 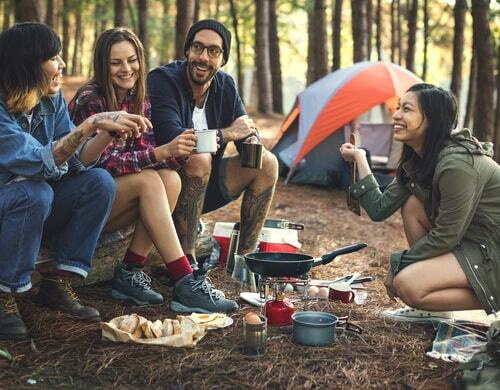 Camping can teach you a lot about saving money. It makes a lot of sense when you stop to think about it. Camping is fundamentally an exercise in minimalism, in stripping away creature comforts and excess. Here are a few ways that bringing that simplicity home can help you with your finances. If you went camping as a child, then you know that the wonderful world of the outdoors has a severe lack of TVs, gaming consoles, stereos, and movie theaters. Camping forces you to make your own fun and interact with the world and people around you. Instead of always going out and buying the newest videogame or investing in a 1,000-channel cable package, try picking up a hobby like drawing or gardening or cooking. It's easier to control the cost of hobbies like these, and many people find them more rewarding in the long term than mindlessly consuming media. Too often we stuff every corner of our homes with knick-knacks, baubles and porcelain figurines. Even worse, we often actually spend more money than we'd like to admit on these "objets d'art." When camping though, how many decorations did you really need? Instead of buying more decorations for your home, instead take a minute to think if the space you're planning of putting the decoration in wouldn't just be better left empty. A little minimalism can go a long way in saving you from clutter and unnecessary spending. Think back to the last big vacation you went on to a theme park, cruise or other destination. How much time did you spend with your family there? How close to them did you feel? Was it significantly closer than when you go camping? Probably not. There's a simple reason for this. The truth is that because there are so many fewer activities and things to do when camping, your time with you family and friends is less diluted. Next time you're planning a big expensive trip, really ask yourself if it's the best way of growing closer to your family. Are you having trouble making it month to month? Maybe you've been hit by an emergency or unexpected expense? If you are facing a financial challenge then it may be worth your time to consider getting a signature installment loan. Signature installment loans are a quick and easy way of getting up to $2,600 in same-day cash that you can pay back over several months. This is the kind of loan that could relieve the stress and pressure of being short on cash, which is exactly what the lessons from camping can help you prevent. 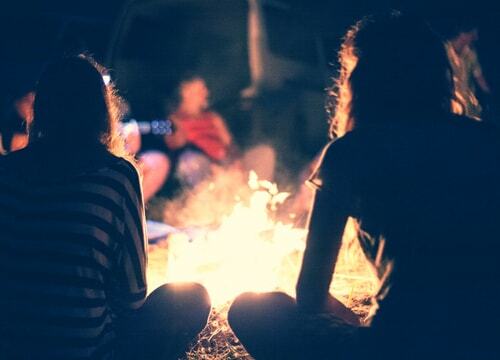 The simple pleasure of spending time in nature or roasting marshmallows with friends and family is what life is all about, and there is no way to put a price on that.